Peter Macgregor-Scott died in New York City Wednesday after a taxi accident. He produced Steve Martin's The Jerk, The Fugitive, two Batman films, Revenge of the Nerds and more. He was also a production manager on Animal House. Cheech and Chong fans should know he was the producer for Next Movie, Still Smokin' and The Corsican Brothers. 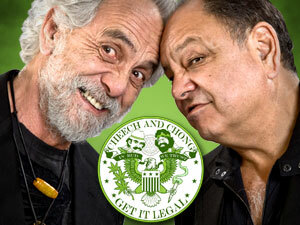 In a 2003 interview, he said Cheech Marin and Tommy Chong were sober professionals. "There was never any smoke. When the boys are working, it's a very clean set. No alcohol, no smoke, no nothing," Macgregor-Scott said. "They learned that in their live performances. They went to Folsom Prison and they had a little too much extra, and it wasn't a good day for them. They said, 'OK, that's the end of that. We go on clean as a whistle from now on.' I did three pictures with them, and that was the way it was from then 'til now, I'm sure." In addition, he produce Cheech Marin's Born in East LA.